How often should you read the terms and conditions? Although the terms and conditions are difficult and tedious to read, we recommend that you glance through them at least twice a year. The issuer has the right to change your rate and terms at any time. Although issuers are supposed to mail you notices, they may come in plain, white envelopes that are easily missed. You are responsible for staying current with the terms of your card. Any changes to the billing period, minimum payment or grace period can result in missed or higher payments, and your credit card company will gladly take these extra fees and interest. Your credit limit is the amount of credit available to you on your credit card. It usually grows according to your payment history, the type of credit card you have, and the issuer’s policy. 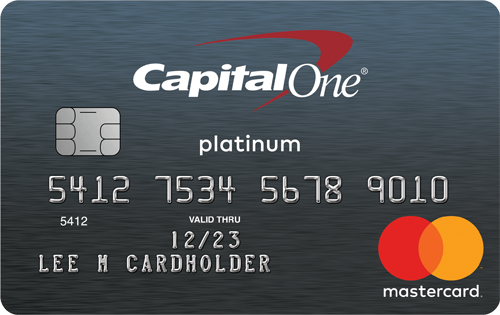 Gold and platinum cards typically have the highest credit limits. The typical consumer has access to $19,000 on all credit cards combined, and more than half of all consumers use less than 30% of their total credit limit. However, one in seven uses 80% or more of his or her credit limit (statistics from myFico.com). Therefore, almost 15% of cardholders are close to their credit limit and may be on the verge of having credit problems. If you are at 75% of your limit, immediately stop making purchases with your cards and pay down your balance. Your credit score is an important reason to pay attention to your credit limit. A declining credit score is a sign to creditors of increased risk and may lead to an increase your interest rates. The amount of debt that you owe is one of the most important variables in the credit score—it is 30% of your score. This debt utilization variable calculates the amount you owe compared with the amount of credit available to you. The lower this percentage, the better your score. You can also raise your score by using less than 50% of your available credit for each account, as using more than 50% indicates that you are a high risk. Your credit limit is not your spending limit. Set your spending limit to less than 30% of your credit limit. Monitor your credit card usage and spending. Sign up for email alerts that will notify you when you are close to your limit. This is extremely important if your limit is low ($1,000 or less). Have a large cushion in case you have to use a credit card to pay for an emergency. If you are close to the limit with all of your cards, you are one emergency away from financial problems. Ask your issuer to decline purchases that will put you over your credit limit. If you have gone over your limit and reducing your balance will take time, contact your issuer to work out a payment plan. Also ask your issuer to waive the over-the-limit fees. If the first person you talk with says no, be persistent and try again. Over-the-limit fees are not a one-time charge; you are charged $39 for each month that you are over your limit. To help your credit score, have smaller balances on a few cards rather than having larger balances near your credit limit on one or two cards. If you are near your credit limit, you are in danger of falling into an expensive debt trap. One issuer could raise your interest rates because of perceived default and another could lower your credit limit for the same reason. Either situation can easily add fees that you already can’t afford, which will hurt your credit score and the rates you have for other loans. The only way to protect yourself is to pay down your balance and stay well below your limit. The credit limit you receive with your credit card is not fixed forever. The issuer regularly monitors your account; if you build a good credit history and pay on time, either you may request a higher credit limit or the issuer may automatically increase your credit limit. To request a higher limit, contact your issuer. You will have to provide income information and employment details, as well as information on assets and liabilities, loans, and other credit cards. They should be able to do this without pulling your credit report. If they have to pull your report, they should inform you first. However, if the issuer automatically increases your credit limit, this does not mean that you can afford it. Receiving a higher credit limit is not like receiving a raise, and it doesn’t mean you should spend more. If you already carry a balance, a higher credit limit gives you the unwanted opportunity of increasing your debt balance and the amount you owe. Credit card companies positively promote credit limit increases as a way to give you the freedom to buy what you want, when you want. However, if you already carry a high balance, you don’t need more debt; instead, you need to pay down the debt you have. Contact the issuer to decline any credit limit increases. Issuers may decrease your credit limit. They monitor both the accounts you have with them and the accounts you have with other creditors. If you are late with payments, bounce a check or take out a large loan, your issuer may lower the limit on your card. They should notify you about the new limit, but reviewing your credit limit and balance each month to make sure nothing has changed and that you remain well under the limit is a good idea. 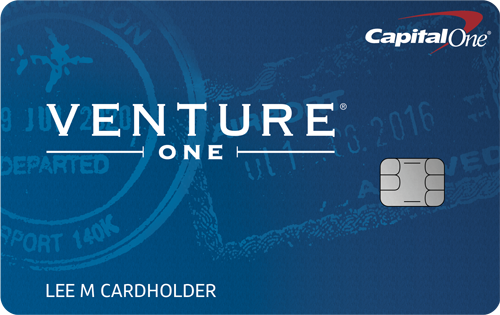 Leaving plenty of room on your card is a good idea. Credit utilization, important to creditors, is about 30% of your credit score. The formula for calculating credit utilization is: total debt incurred on credit cards and revolving accounts divided by the total debt available on those cards. The lower the fraction, the better your score. For example, if you have $3,000 in debt and $10,000 in credit lines, you are using 1/3 of your available credit. Keeping your debt at about 30% of your credit limit is a good goal. If this fraction equals 1, you have maxed out your credit cards. Don’t assume that your card will be declined when making purchases if you are over your credit limit. Many issuers allow you to make purchases beyond your credit limit, and you pay a higher fee for doing this. Many issuers now offer email updates to let you know when you are nearing your credit limit. Sign up for this, as it is a good way to help you monitor your activity. Your credit score also determines your credit limit. The lower your score, the lower your limit. Unfortunately, you can’t predict exactly what your credit limit will be; the limit you receive may vary by issuer. If your score is less than 650, expect your credit limit to be less than $1,000. If it is between 500 and 600, expect a low credit limit of $200 to $300 (if you are approved). The minimum payment is one of the most poorly explained and misunderstood credit card principles. In 2005, new regulations forced issuers to increase the minimum payment percentage to allow at least a small portion of the monthly payment to apply to the balance. Unfortunately, this percentage is difficult to find and is not listed in most terms and conditions. Call your issuer to learn the percentage used for your account, and then use a rate calculator to figure out how long it will take you to pay off your balance. Most consumers are shocked to find how long it will take them to pay off their existing balance if they just pay the minimum. While Congress is focused on the credit card industry, they should require credit card companies to provide this calculation on the cardholder’s monthly statement. According to the latest Experian-Gallup Personal Credit Index Survey, 11% of consumers usually make the minimum payment on their credit card, but not much more. If you pay only the minimum and your rate is over 24%, you may be paying more in interest each month than you are toward your balance. The only way to pay off your debt is to pay more than the minimum. To help you do this, call your credit card company and request a higher minimum. If your minimum payment is 2%, contact your issuer and ask that it be raised to at least 3% or 4%. Calculate the largest amount that you can pay and continue to pay that amount and not just the minimum. If you pay just the minimum, as your balance decreases, this minimum amount also decreases, which then lengthens the period you need to make payments. Credit card companies love consumers who pay only the minimum. Issuers earn tremendous profit on these consumers because of the sizeable interest payments they make for years. However, consumers need to pay much more per month to pull themselves out of their horrible credit hole. A cardholder with a balance of $5,000 with a 15% APR and paying a monthly minimum of 2.5% each month will pay $4,757.98 per year in interest, and needs 257 months (21 years) to pay off the balance. Double the minimum payment to 5% and you pay only $1,631.61 in interest and need just nine years to pay off the balance. If you have a retail card, look at your terms and conditions or call and ask about your minimum payment. Some retailers, such as Best Buy, only charge 1% as a minimum payment. At that rate, your TV will be extinct by the time you pay off your purchase. Two-cycle billing is one of the most costly ways your finance charge can be calculated. Under two-cycle billing, your issuer calculates your finance charge by using your average daily balance for the current and previous billing cycles. This eliminates the grace period and usually creates higher finance charges. The interest rate is retroactive to the date that purchases were posted. If you pay off your credit card balance most months, you may be a candidate for a high finance charge if your credit card uses two-cycle billing. Thanks to pressure from Congress and consumer groups, many cards have now eliminated the use of two-cycle billing. Average daily balance is the standard for computing interest charges. If you pay off your balance, you have a 20- to 25-day grace period after making a purchase before interest is charged. If only a partial payment is made, interest kicks in at the end of the grace period. Carrying a balance wipes out the grace period on new purchases. Interest starts the day of a purchase. Two-cycle billing makes this much more expensive because interest is charged starting on the date of purchase, retroactively wiping out the grace period. To find out if your issuer uses two-cycle billing, read the “finance charges” paragraph of the Terms and Conditions of your credit card. This will explain how your finance charge is calculated. The grace period is the time between the end of your billing cycle and when your payment is due. The goal is to pay your full balance off every month during your grace period to avoid paying finance charges or fees. If you carry a balance, you do not have a grace period—you are charged interest from the day you make a purchase. According to the Federal Reserve, the average grace period is 25 days, but it can be as short as 20 days. Look for a card that has at least a three-week grace period. To make sure your payment is in on time, mail it five business days before it is due. If you pay online, pay at least two business days before it is due. If you pay your bills ahead of time and pay at least your minimum payment, you can avoid the credit card fee trap. Losing a credit card bill and being forced to make a late payment is too easy. Either pay the bill the moment it arrives, or set up an online payment. You can schedule email reminders to yourself about when your payment is due. The credit card issuers say in the terms and conditions that they can basically increase your rate at any time for any reason. The best way to prevent this is to build a good payment history with them and other creditors (since they monitor your credit report, which includes your payments to other creditors). If you take the steps to build and maintain a good credit score, they are less likely to raise your rates. Issuers are required to give you 15 days’ advance notice about changes in terms or rates related to your credit card. These notices can come in small, white envelopes that are easy to overlook. If you miss the changes, you may find yourself paying more for a balance transfer or a cash advance, making a late payment because of a change in the due date, or paying less or more on your monthly bill because of a change in the minimum payment percentage. Credit card issuers have turned to credit card fees as an important source of revenue. 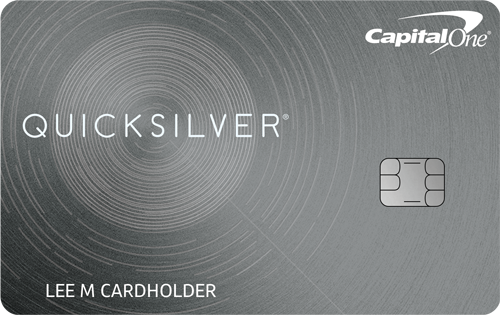 Each year they seem to find new ways to increase or tweak the fee to get a few more dollars from their cardholders. Penalty fees alone cost consumers $17.1 billion in 2006—up from $12.8 billion in 2003, adjusted for inflation (R. K. Hammer, a bank card advisory firm). Average transaction fee for cash advances is 3%. Average balance-transfer fee is 3%. Average late-payment fee is $25 and as high as $39. Average over-credit-limit fee is $25 and as high as $39. Organize your bill payments to guarantee that you pay on time each month. Thirty-nine dollars is a lot to pay for being a day or two late with your payment. If you carry a balance, this payment rolls into your balance and you pay interest on it, costing you even more. Since some issuers say that your payment is late if it arrives after 2 p.m. on the day it is due, the best way to protect yourself is to pay the bill the day that it arrives in the mail.